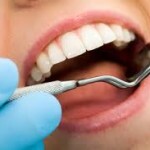 We’ve all heard about the risks of letting gum disease go untreated. As the gums are increasingly affected, they can recede, and even tooth loss can occur. Although these are serious problems, there’s something even more significant to consider – there is growing evidence that untreated chronic gum disease may lead to cancer. A recent study supported by the National Institute of Dental and Craniofacial Research and the National Cancer Institute has found a potential link between untreated gum disease and the human papillomavirus, commonly referred to as HPV. Although HPV is usually associated with sexual contact and can lead to cancer in the reproductive organs, as many as ten percent of men and over three percent of women are infected orally with the virus. The danger is that being infected with HPV in the mouth can leave a patient much more susceptible to certain types of head and neck cancer. In the study, about forty percent of the patients with head or neck cancer tested positive for oral HPV, about four times the national average for the virus in men, and over ten times the national average for women. As HPV is already known to cause many other types of cancer, this connection is hardly a surprise. What is eye-opening is that the HPV virus itself seems to be more likely to persist in patients who have poor oral hygiene that has led to chronic gum disease. Those who avoid getting cleanings and leave their gum disease unchecked are making themselves much more vulnerable than necessary. Although it’s not clear yet as to why there is this connection between HPV and gum disease, what is clear is that there’s a way to protect yourself as much as possible. Coming in for regular checkups and cleanings can keep gum disease in check and help keep HPV at bay. Remember, not all gum disease is visible, and many people with perfect teeth think that because their smile looks good, they’re in the clear. Gum disease can progress with few or even no symptoms, and it’s important that you let the dentist check your gums on a regular basis to make sure everything is okay. Prevention is the best cure – keep your gums and mouth in good health to help keep the rest of your body healthy, too.